914,063 barrels and brought in $225 million in annual revenue. 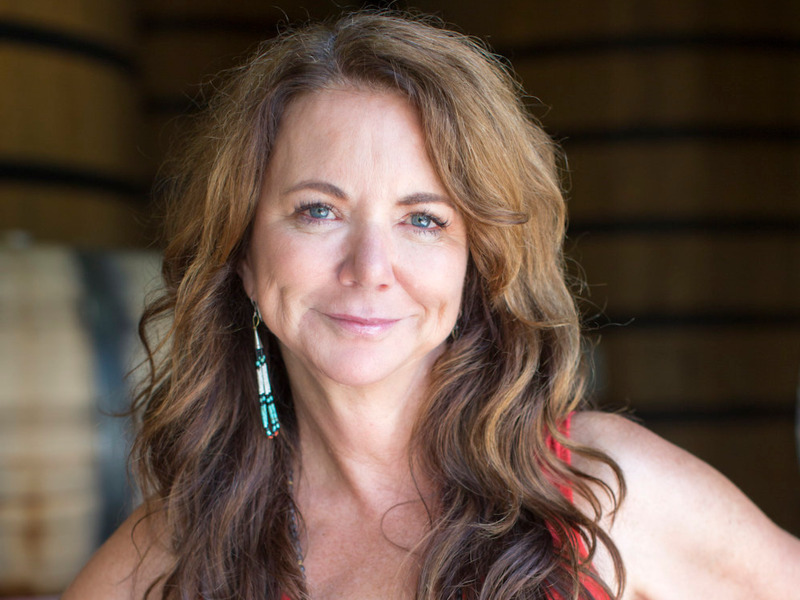 If you ask Kim Jordan, the company’s cofounder, former CEO, and current executive chair of the board, a key component to New Belgium’s success has been the talented employees it’s been able to attract and retain — which is part of the reason workers now own the entire company and why workplace anniversaries are celebrated lavishly. Jordan (No. 13 on the BI 100: The Creators) began formally awarding stock to employees in 1995 after reading “The Great Game of Business,” a book by management expert Jack Stack. She was inspired by Stack’s urge to apply open-book management, the practice of full financial and business transparency within the company. “The inclination to have as flat a hierarchy as we could manage and a really trusting, transparent, engaged group of coworkers was really important to me,” Jordan told Business Insider in a recent interview. 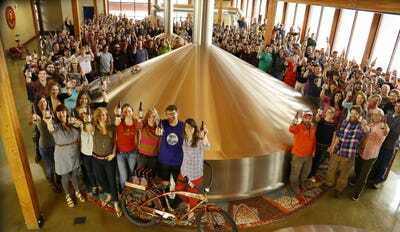 By 2000, New Belgium officially transitioned to an Employee Stock Ownership Plan (ESOP), a type of retirement plan that awards employees stock in the company to be distributed upon their exit. In January 2013, Jordan announced to more than 450 thrilled employees at the company’s bi-annual retreat that she sold her remaining 59% stake to the ESOP. New employees are now awarded stock upon their one-year anniversary at New Belgium. Courtesy of New Belgium Brewing CompanyKim Jordan, New Belgium cofounder and executive chair. Dogfish Head and Lagunitas, which have sold stakes to outside investors, Jordan’s sale to the ESOP represents a conscious effort to fight the wealth gap, avoid cuts and layoffs a buyer might have demanded, and keep her employees involved in the future of the company. Another way New Belgium honours human capital is through generous benefits. The company has a 93% retention rate and cheerily celebrates coworkers’ anniversaries at the company. For instance, employees receive a branded fat-tire cruiser bike — a tradition started in 1999 as a nod to the brewery’s flagship beer — at year one, a one-week trip to Belgium at year five, a $1,000 travel voucher at year 15, and a four-week paid sabbatical at years 10, 20, and 30.